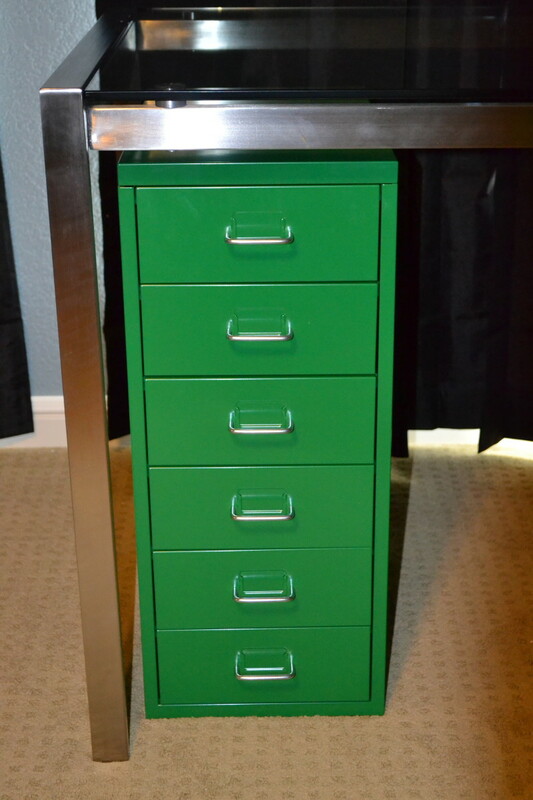 Assemble your Ikea Helmer storage cabinet quickly and easily! When my teen daughter decided it was time to redo her room from her pre-teen choices (purple and turquoise) to something a little more sophisticated, I was thrilled. My excitement was due primarily to the fact that I love to decorate, while she doesn't really care about it all that much -- meaning this would be a fun project for me. 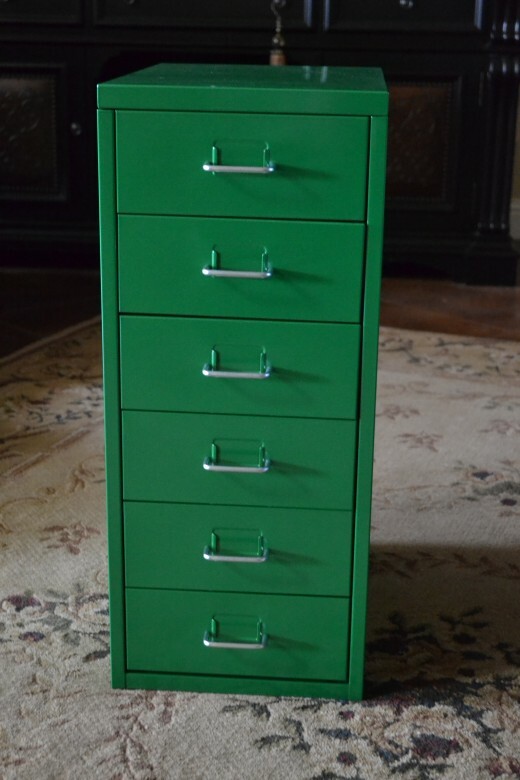 My daughter loves green of all shades, but especially brighter, richer shades of green, so I was happy to find Ikea's "Helmer" storage cabinet in a lovely, clear, bright green. I wasn't happy, however, when I purchased one, took it home and opened the box -- it was in a million little pieces. I realize anyone who purchases Ikea products should expect an assembly project, but even the individual drawers needed to be assembled! Additionally, this is not a large piece of furniture. It is just a small little storage cabinet, basically a small filing cabinet. How could it have so many pieces? An assembly instruction booklet was included in the box, of course, but the instructions were only shown in simple drawings -- nothing was written out. I glanced over it and my brain immediately fogged up. I was quite intimidated by the numerous small parts and the vague yet complicated drawings, but I knew if I didn't tackle the project right away, it was very likely the box would sit for months, giving me pangs of guilt and grief every time I walked by it. Instead of letting my intimidation get the best of me, I armed myself with several Tivo'd episodes of "Fixer Upper" to keep me company, laid the pieces out in front of the TV, and set out to assemble my daughter's "little green Helmer." I also grabbed my camera in order to document the process -- and prevent others from having to figure this thing out on their own. 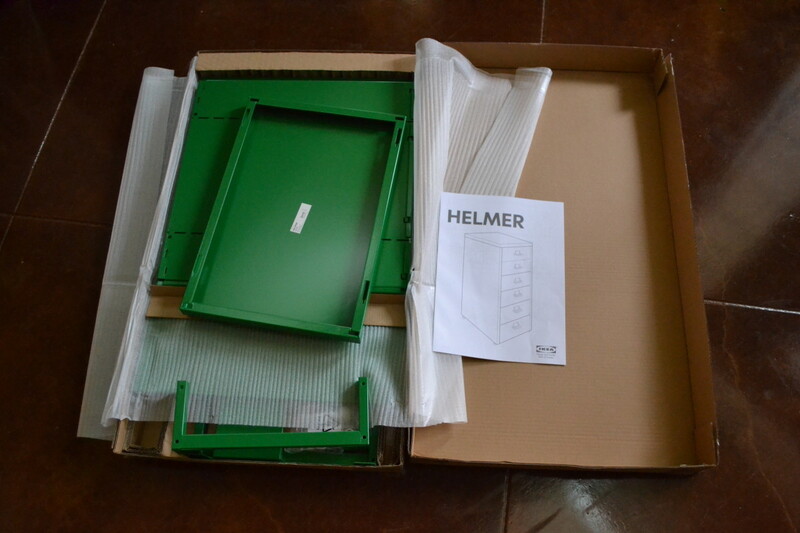 Step 1: Get set to assemble your Helmer cabinet. 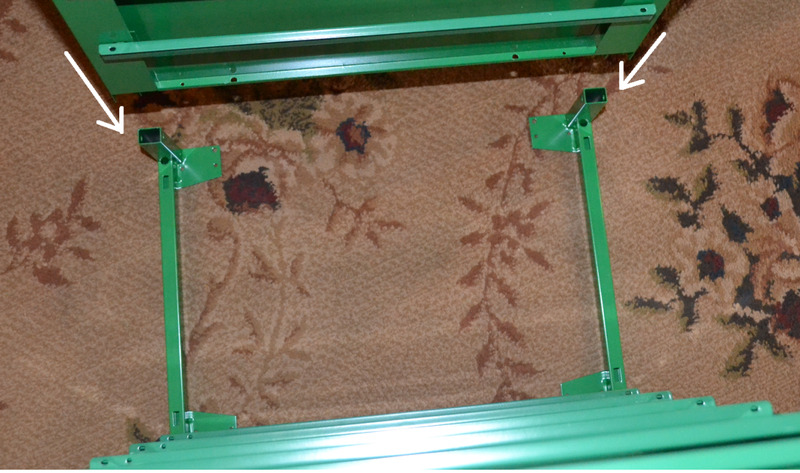 First, place the box and its contents on a rug or carpeted area. This cabinet is made of painted metal, and it appears as though the pieces could scratch or dent easily. 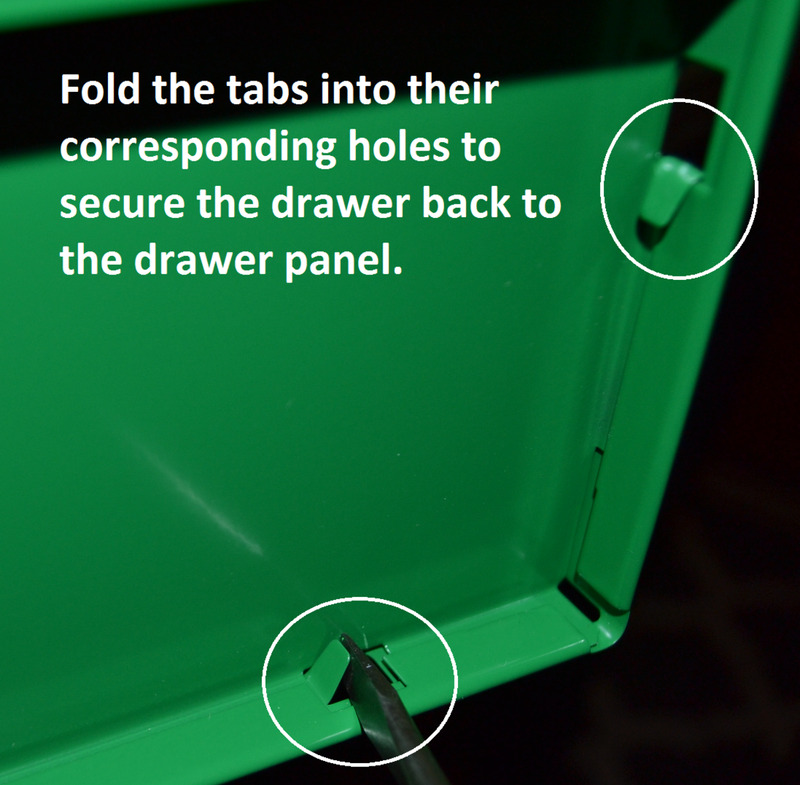 Assembling the Helmer storage cabinet on a soft surface will help protect it. Remove the pieces from the box and carefully lay them out on the rug. If you don't have a rug or carpeted area, spread a blanket out on the floor to use as your workspace. Next, gather both a Phillips and a flathead screwdriver. A small power drill, if you have one, will come in quite handy but is not absolutely necessary. Find the cabinet sides -- these are the tallest, widest flat metal panels in the box. There are two of them. Lay them out on the floor, next to each other, so that the ends with the square holes down the side are on the outermost left and right. The ends with the square notches (not complete holes, but just notches) should be on the inner left and right, next to each other. (See photo A.) Per the Ikea assembly instructions, the side on your left is side "B" and the side on your right is side "A." Now match the drawer glides to the correct side. The drawer glides are the twelve stick-shaped metal pieces. There are six which have one circular hole on each end. 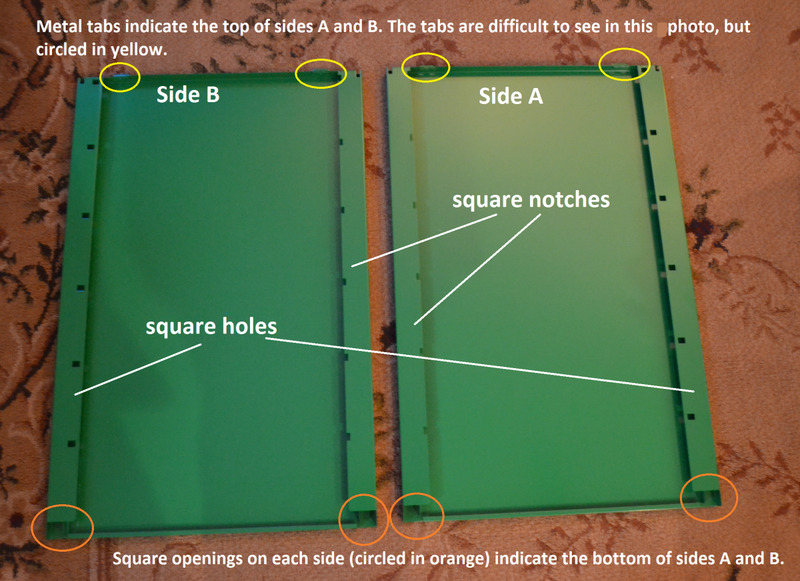 These go with cabinet side "B," also known as the side on your left (see photo C). 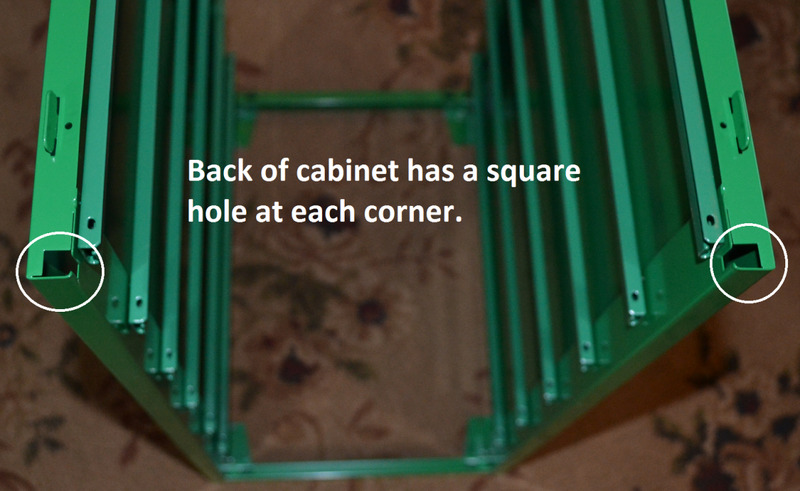 The six drawer glides with one hole on one end and two holes on the other end go with cabinet side "A," the cabinet side on your right (see photo D). The drawer glides have a top and bottom. 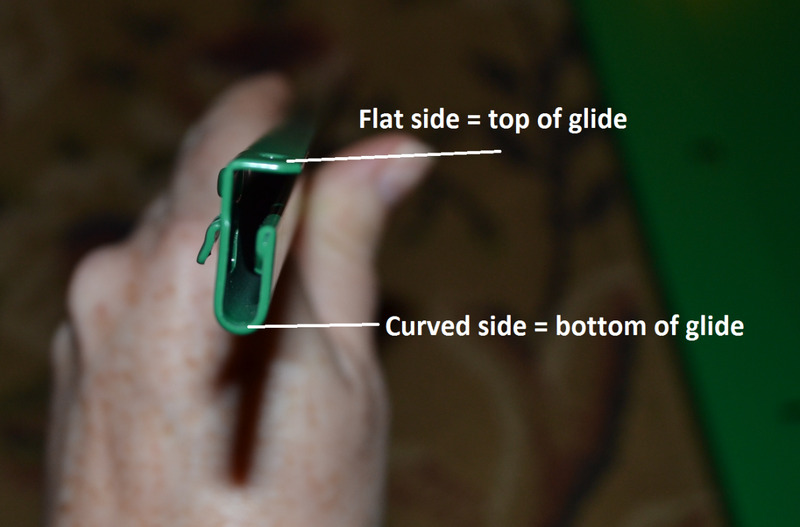 The flat side is the top of the glide; the curved side is the bottom of the glide (see photo E). Side "A" drawer glides attach in the same manner, but because the two sides mirror one another, the beginning and end will be opposite. For side "A," start with the left-hand side. 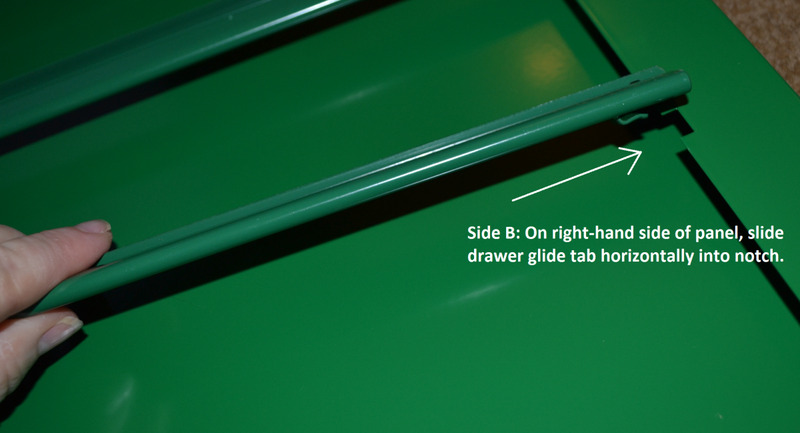 Insert the left-hand drawer glide tab horizontally into the left-hand square notch on the panel. Just like on side "B," now all you need to do is slide the tab on the other end of the glide slightly down into the square hole until it clicks in place. Obviously, repeat this process for the remaining side "A" glides. Find the two base pieces -- these are easy to spot, as they're the only pieces which are not flat panels or drawer glides. They are two identical pieces which are basically u-shaped, each with two short legs on each side. First, line the base pieces up so that the flat brackets are both pointing toward each other, and inward toward the center of the cabinet (see photo H). At this point, the side panels should still be lying flat on the floor, drawer glide side up. Once properly lined up (bracket pieces pointing inward toward the center of the cabinet), pick up a base piece, and starting with either panel, turn the base piece so that you can slide a square leg from each base piece into the square holes at the bottom of the panel (see photo I). You'll hear and feel a "click" when the pieces are in place. Stand this panel upright on the base. Now take the remaining unattached panel, and line it up so that its drawer glide side is facing the other panel's drawer glide side. 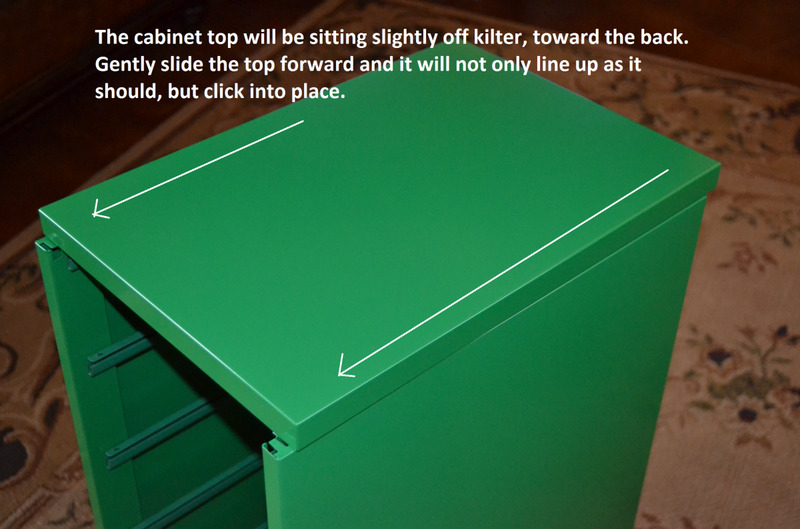 (This is so when completely assembled, the drawer glides are on the inside of the cabinet -- very important!) 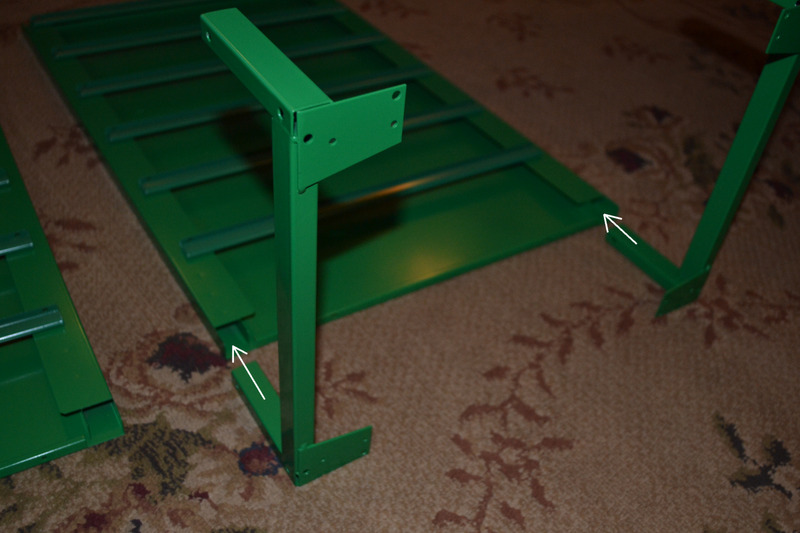 Hold the panel up off the floor, and lower the panel down onto the base so that both legs insert into the panel at the same time. 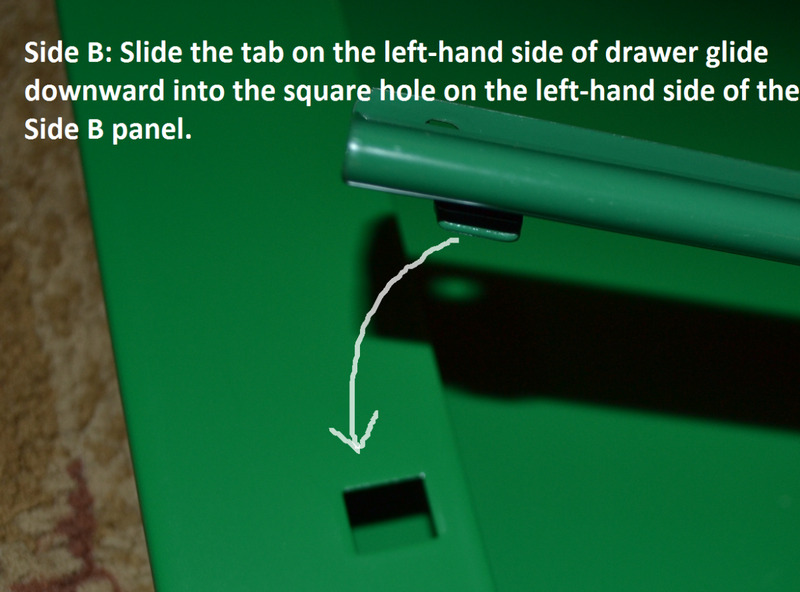 Gently push down on the panel until both sides click in place. (See photo J.) Your cabinet should now look like the one in Photo K.
The back panel is also easy to spot -- it is a fairly plain, smooth panel; it is as tall as the side panels, but not as wide. 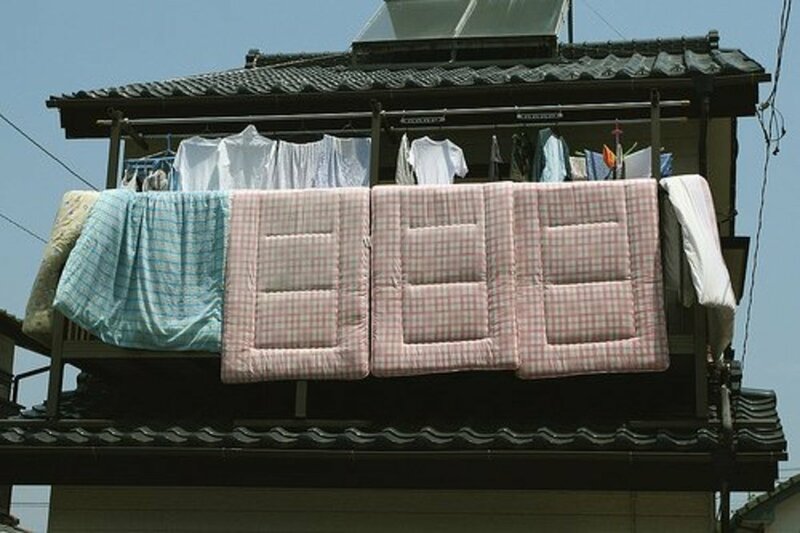 Locate the top and bottom of the back panel. The top is the end with the two small round holes (see photo L). The bottom is the end with two small round holes and two u-shaped holes (see photo M). Now locate the front and back of the cabinet. 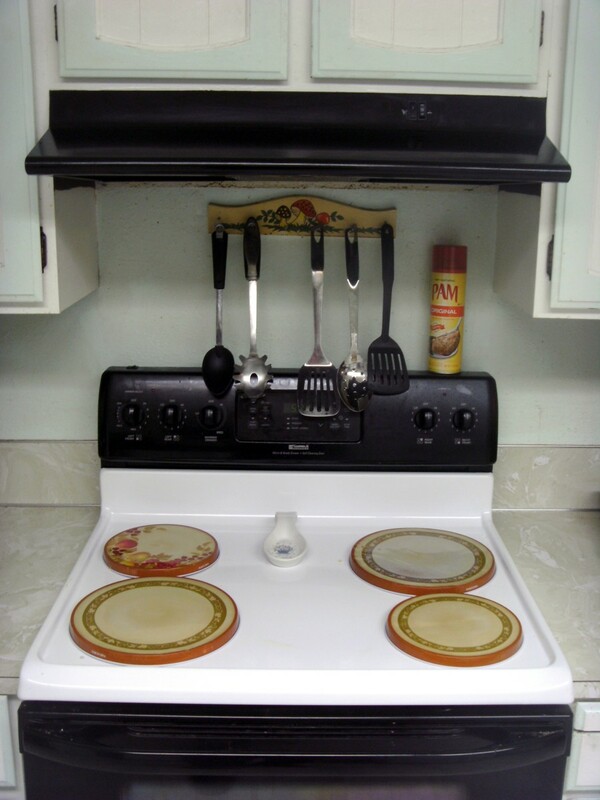 The front of the cabinet has a u-shaped notch on each top corner (see photo N). 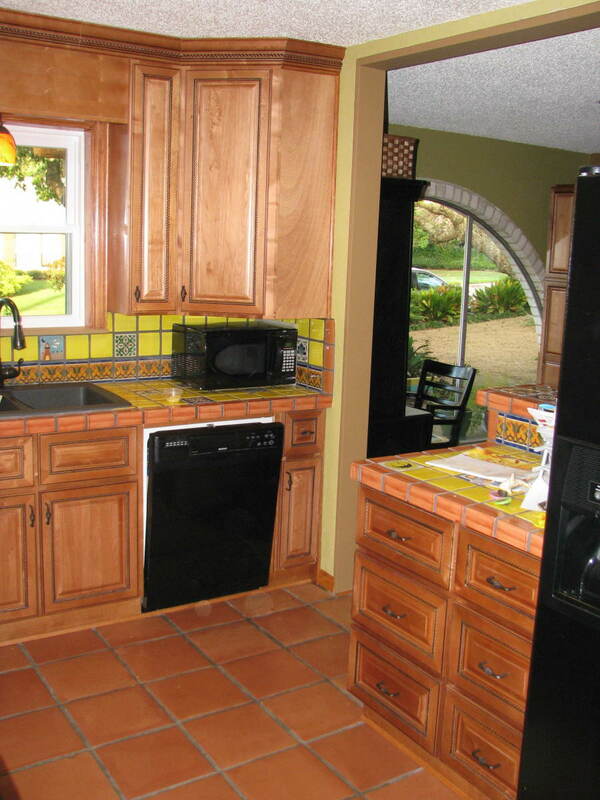 The back of the cabinet has an open square notch at each top corner (see photo O). To attach the back panel, set it in place at the back of the cabinet, turning it so the folded edges point inward toward the inside of the cabinet. 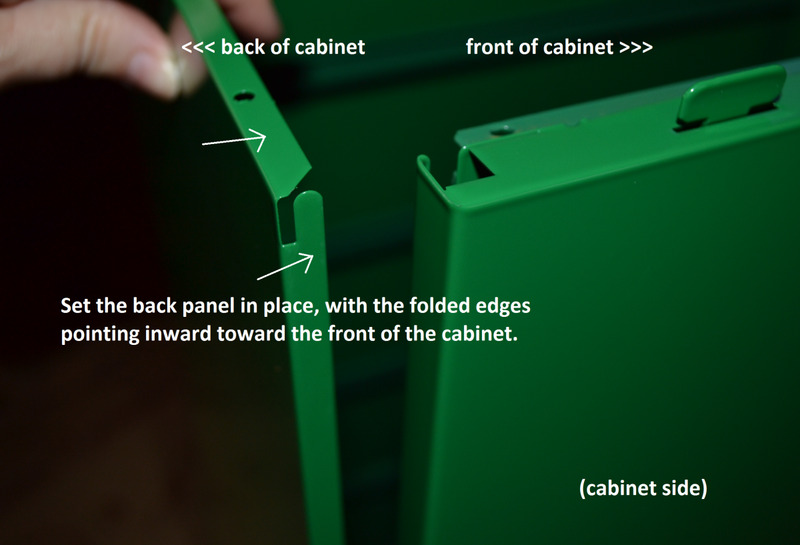 Make sure to line it up so that the top of the panel is at the top of the cabinet, and the bottom of the panel is at the bottom of the cabinet (see photo P). 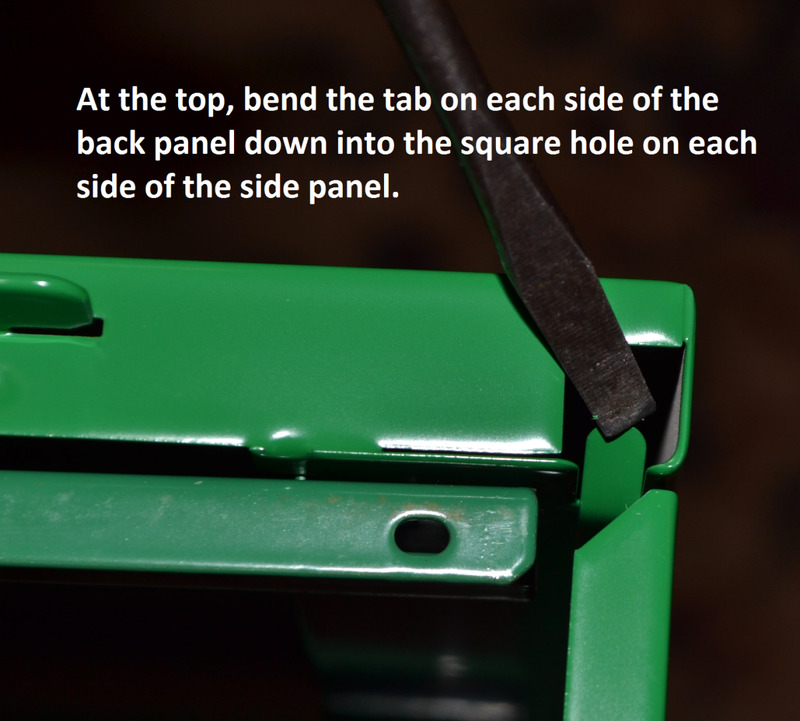 Use a flat-head screwdriver to push the tabs at each side of the top down into the holes on each side (see photo Q). 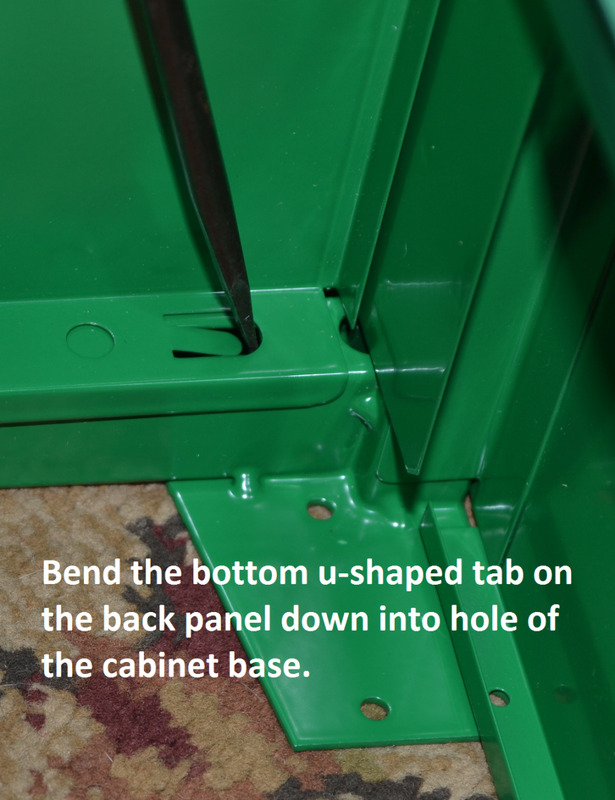 At the bottom of the back panel, use the flat-head screwdriver to push the u-shaped tabs in the back panel down into the holes on the base of the cabinet (see photo R). This will hold the back in place, but in my experience the back was not actually locked in place until the top of the cabinet was attached. So at this point, treat your cabinet gently and move it carefully. 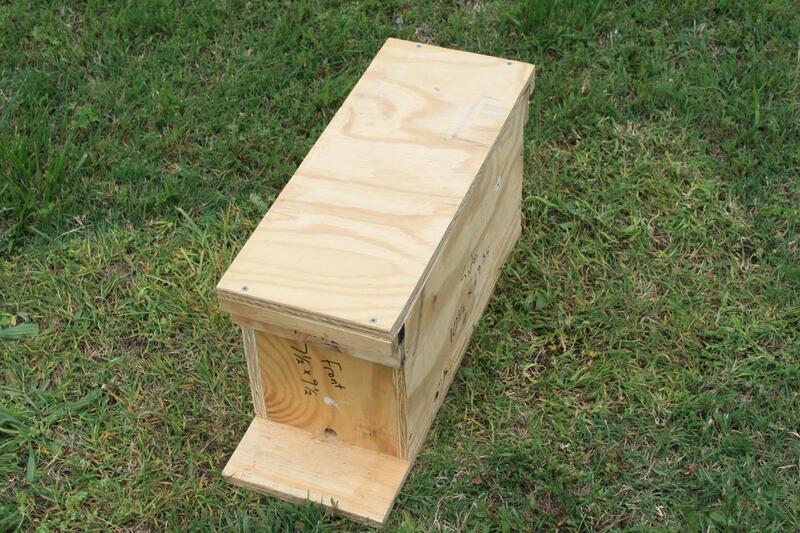 The top is easy to locate, as it is a fairly plain panel which is shaped something like the top of a cardboard box. Step 5 is made a little bit simpler due to the fact that the top can be attached in either direction -- there is no front or back end. 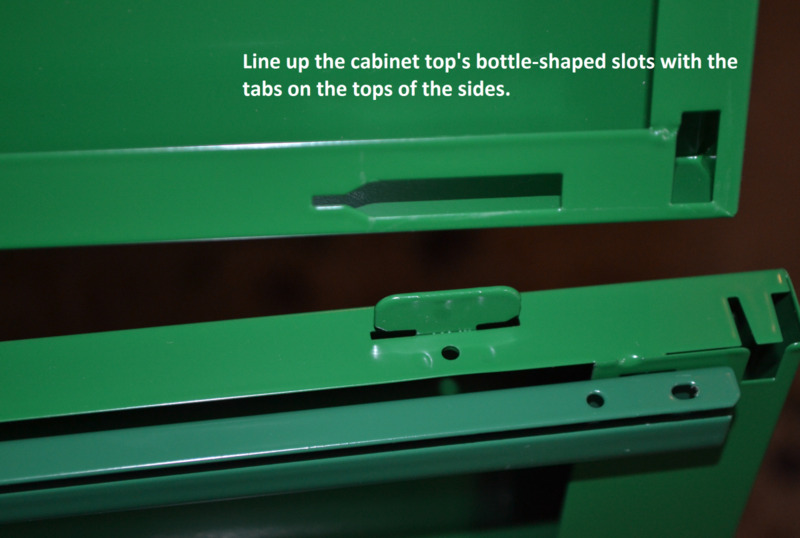 To attach the top, align the wine bottle-shaped slots in the top piece to the tabs sticking up from the tops of the side panels (see photo S). Lower the top panel in place so that all four bottle-shaped slots fit over the tabs at the same time. 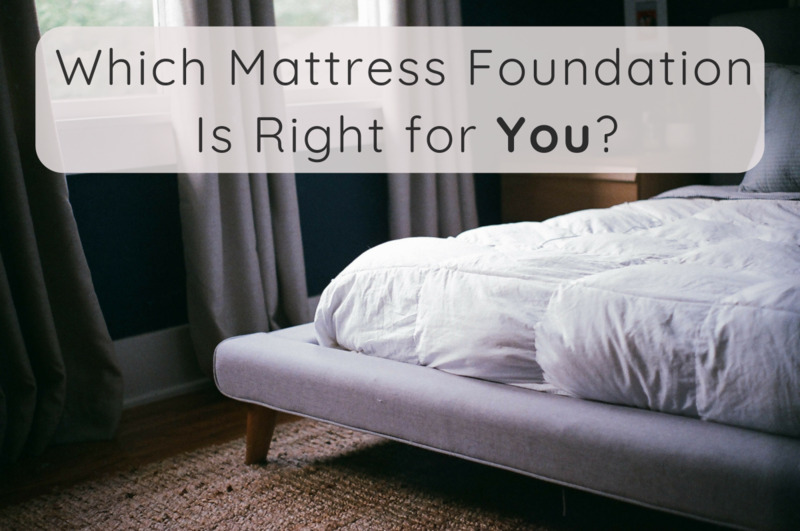 The top will not be lined up perfectly -- it will be sitting slightly too far back. 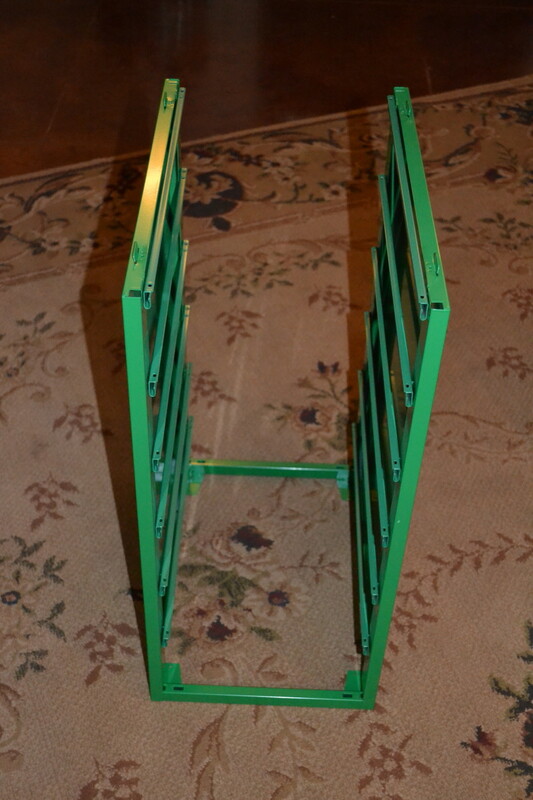 Slide the top gently toward the front; this will lock the tabs and slots together (see photo T). The top will now be locked in place, lined up properly and fit squarely on the cabinet. Carefully turn the entire unit upside down. With the top of the unit on the floor, you'll notice a small tab just inside each front corner. 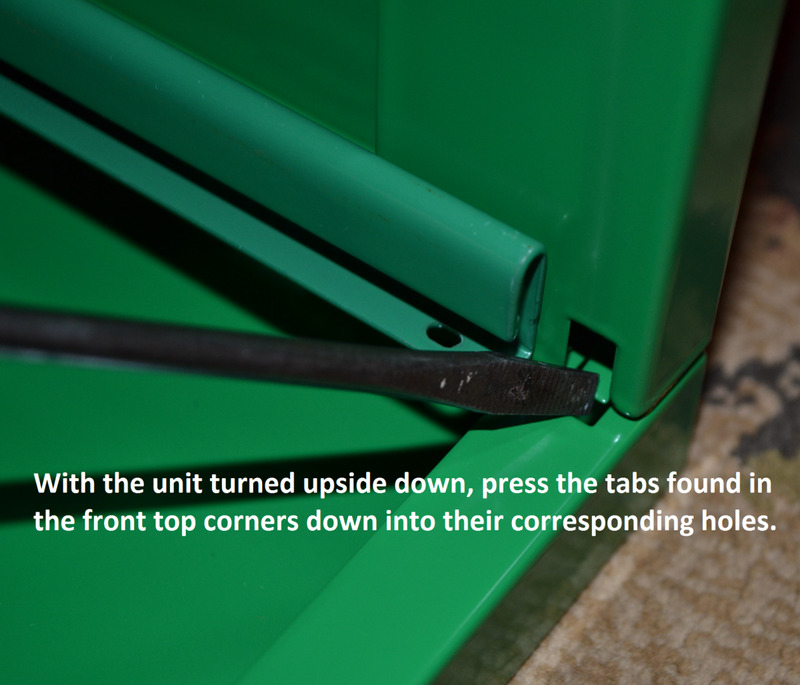 Use a flat-head screwdriver to push the tab down (see photo U). This helps hold the top in place. Find the bag of hardware among the boxed pieces. You'll notice that in the bag their are two types of screws -- one type with a sharp, pointed ends, and one type with flat ends. For this step, gather up the twelve pointed screws. Now that your Helmer storage unit is upside down, you'll be able to see that each bottom corner has four holes. 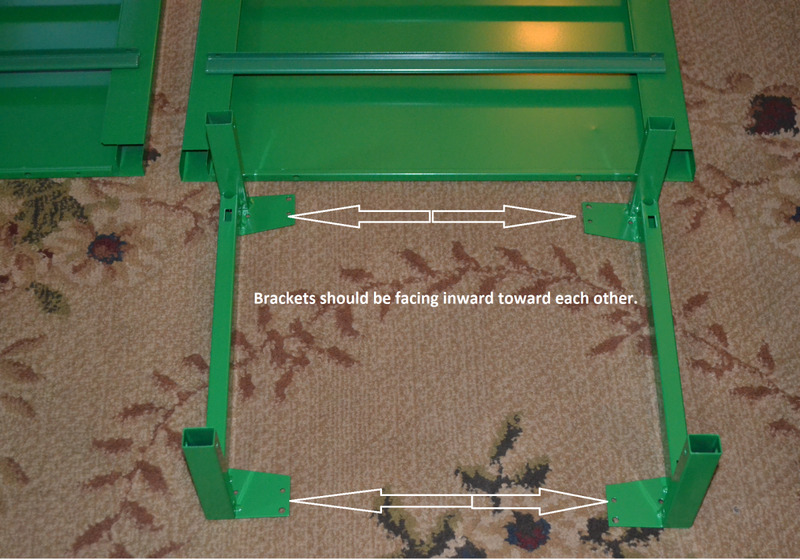 Place the wheels on the brackets as shown in the photo, lining the wheel up with two of the four holes. Sink the screws to attach the wheels in place. Note: This is where a power drill comes in handy -- the screws used to attach the wheels were very difficult to sink using just a Phillips-head screwdriver and my weak little muscles. I ended up removing the casters as I did not want to cabinet to be mobile. Also, without the casters, it fits perfectly under standard-height tables, allowing you to turn any table into a desk. The wheels make the cabinet slightly taller. 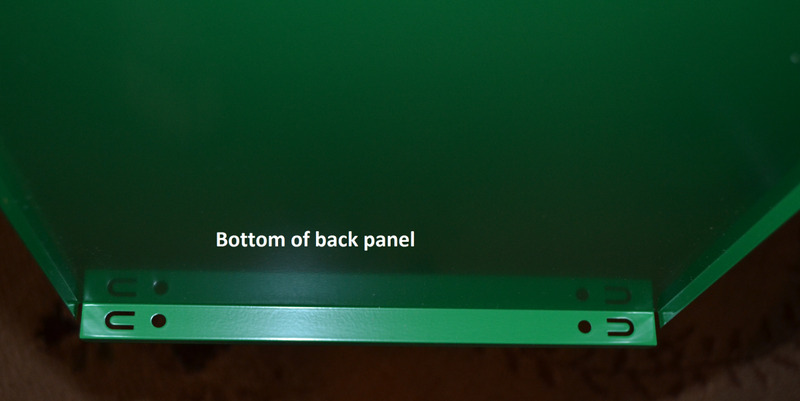 Find the six main drawer pieces -- these are the flat panels with the perforations. The side portions of these panels make up the sides of the drawers, while the middle portion is the bottom of the drawer. Notice that two sides of these drawer pieces have a very narrow edge that has been rolled or folded over. The narrow ridge made by the fold is what holds the drawer in place on the drawer glides -- therefore, the ridges need to be on the outside of the drawer. To attach the cabinet back piece, first locate the back end of the drawer. 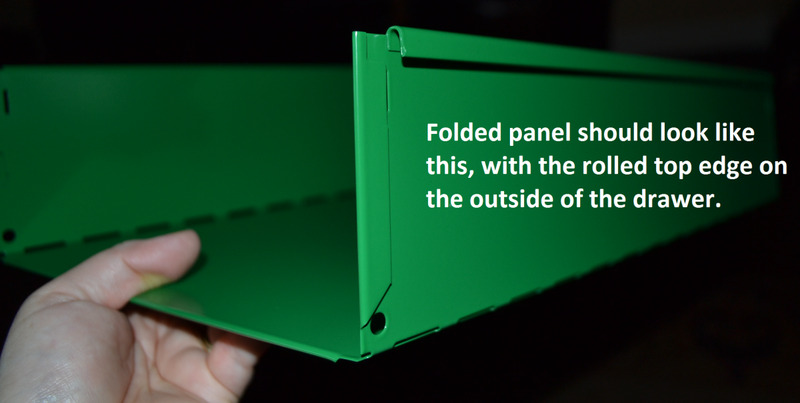 Looking at the perforated drawer panel you just folded, you'll notice one end has a folded edge which folds up and over, along with two small u-shaped cut-outs. This is the back end of the drawer. Drawer backs are the small smooth panels. They look similar to drawer fronts, but have a plain, smooth surface, while the fronts have holes for handles and a slot for a label. You're finished! Enjoy your cabinet! Now that you've put all the drawers together, simply slide them into the cabinet -- the drawer glides will hold them in place. Your task is finished, and the result is a sharp-looking little cabinet with lots of storage space for organizing anything from important papers to jewelry to nail polish to school supplies. 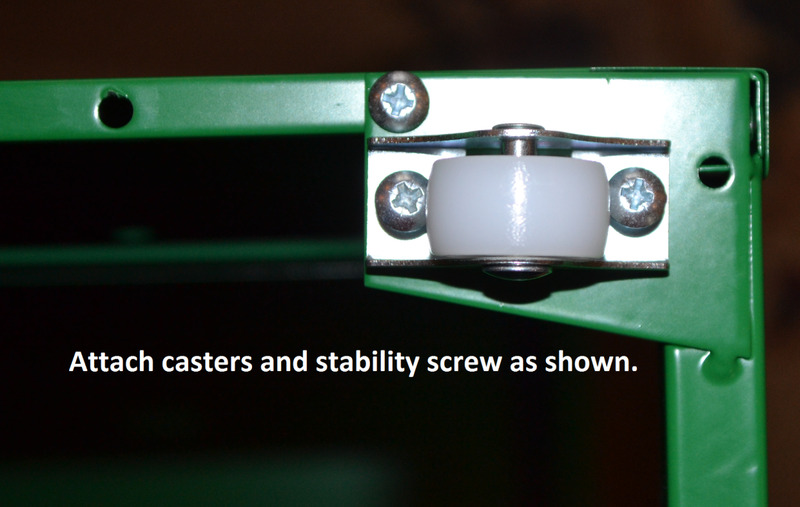 Without the casters, the Helmer fits perfectly under any standard-height table. I found a beautiful glass and chrome table my daughter could use as a desk/art table, and placed the Helmer underneath. She'll have all her art supplies organized and at her fingertips. I am having problems with my drawers not sliding and they fall down, help! Thank you so much! I never would have figured it out from IKEA's "instructions." I would have never been able to put this together without your instructions, and even then, it took a good 2 hours! Many thanks. Your instructions were much better than ikeas, even though the top was difficult. 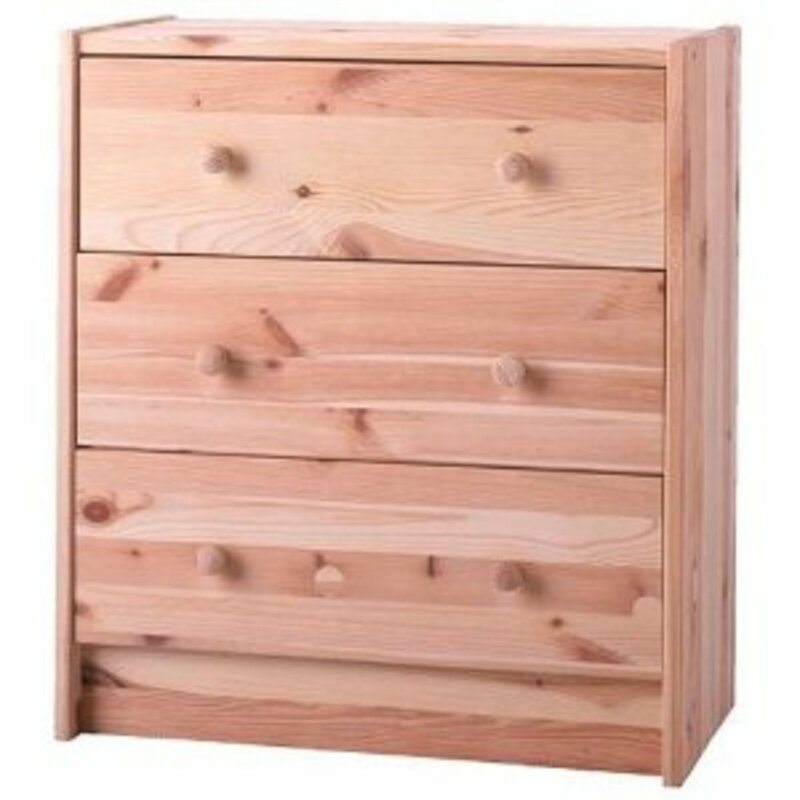 I'm glad the instructions helped but sad to hear the top drawers are sticking. I haven't had that problem with our Helmer cabinet. I'm replying a little late -- were you able to resolve the problem? Have you had any problems with the top drawer sticking? I used these awesome instructions to put together three and all have problems with the top drawer. I'm so glad you found these instructions helpful! Enjoy your new cabinet. Thank you, just used these excellent instructions to build my Helmer, so much clearer than Ikea's!! 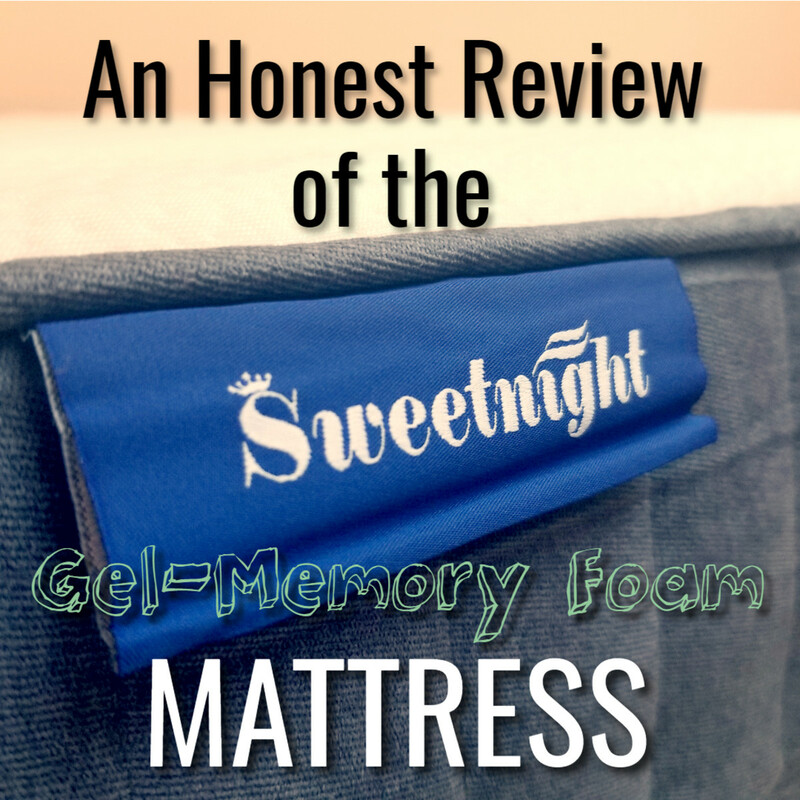 A great big thank you! I was stuck with the back panel. I stayed with you for the remainder and the small cabinet is now all put together. Absolutely great and clear instructions plus I am still sane..